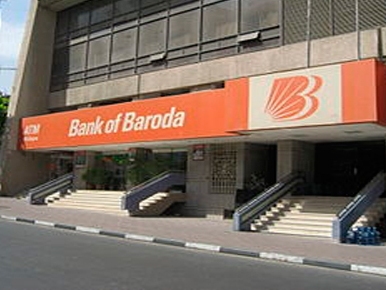 Mumbai: State lender Bank of Baroda's standalone net profit rose by 16.6 percent to Rs 1,361.88 crore in the first quarter ended June 30, 2014, on lesser provisioning and decline in NPAs. The bank said its net profit in the April-June quarter last year stood at Rs 1,167.87 crore. "Total income has increased from Rs 10,717.49 crore for the quarter ended June 30, 2013, to Rs 11,682.5 crore for the quarter ended June 30, 2014," it said in a filing to the BSE. The provisioning for bad loans and contingencies made by the bank were reduced to Rs 526.71 crore for the first quarter FY15, from Rs 1,017.86 crore in the year-ago period. Net non-performing assets (NPAs) or bad loans during the quarter under review were trimmed to 1.58 per cent from 1.69 per cent year ago. However, gross NPAs went up to 3.11 per cent in the first quarter of the current fiscal as against 2.99 per cent in the corresponding period a year ago.